This delicious crowd-favorite is perfect for any party and doesn’t take long to put together! Makes 4 generous servings. Arctic char has roughly the same amount of omega-3 fatty acids (EPA and DHA) as sockeye salmon. The taste of Arctic char falls somewhere between salmon and trout. It can be substituted easily for either in most recipes. Its texture is moderately firm but fine. 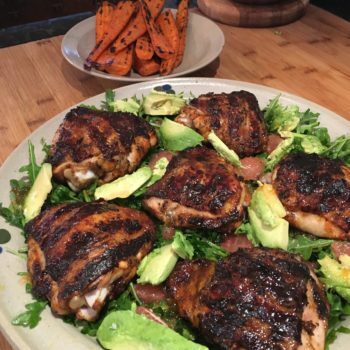 This recipe from Crystal is sweet and spicy, and comes together in about 45 minutes and is a super inexpensive way to feed a family of 4 for more than 1 meal!